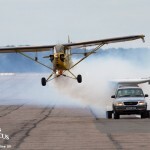 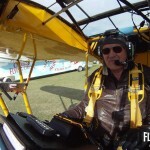 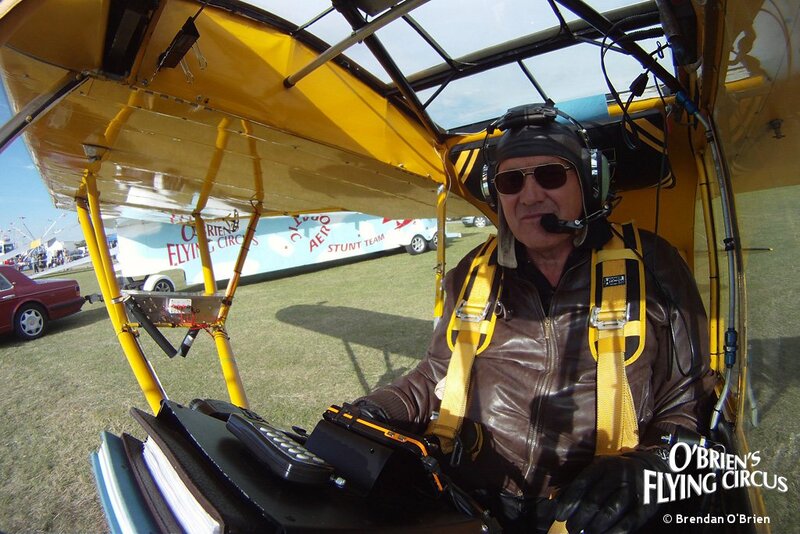 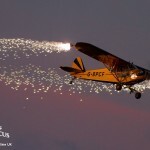 O’Brien’s Flying Circus headlines with a routine that Brendan developed during the late 1980’s and involves a Cub landing on the back of a mobile platform. 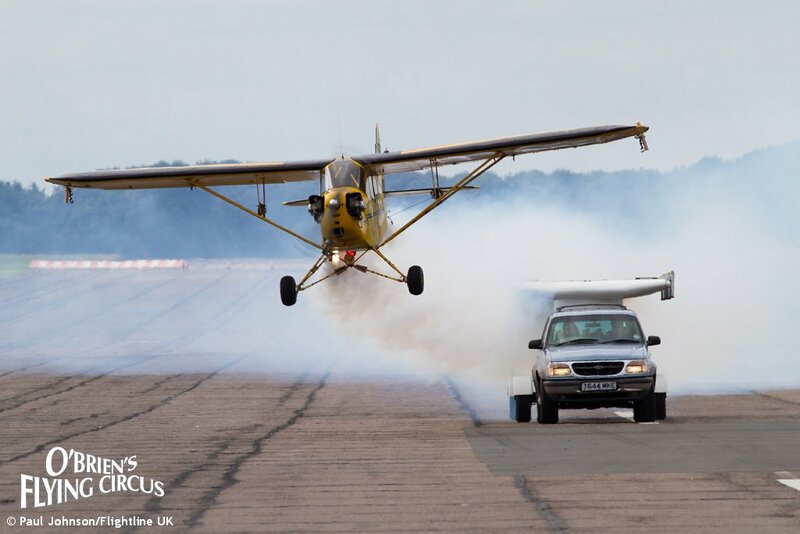 With Brendan at the controls things become increasingly entertaining as the Cub cavorts around the airfield with a zany flying routine. 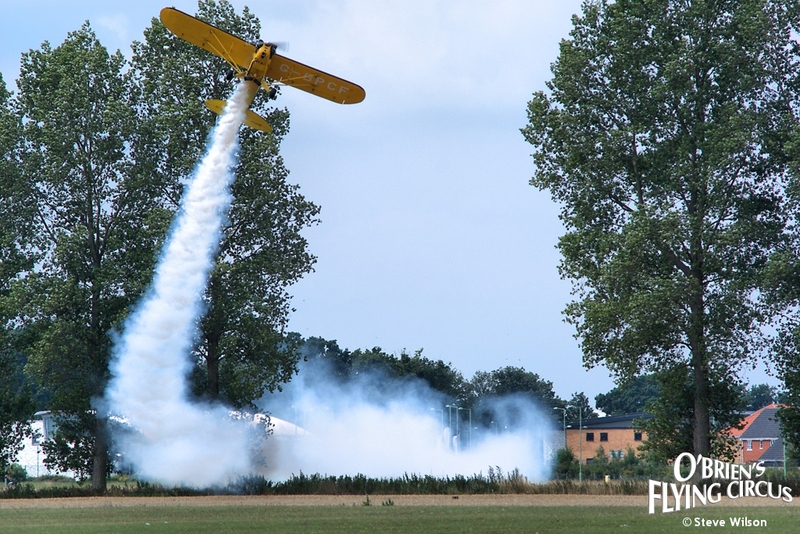 The crazy flying can also stand alone at smaller airfields and off airfield sites. 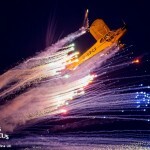 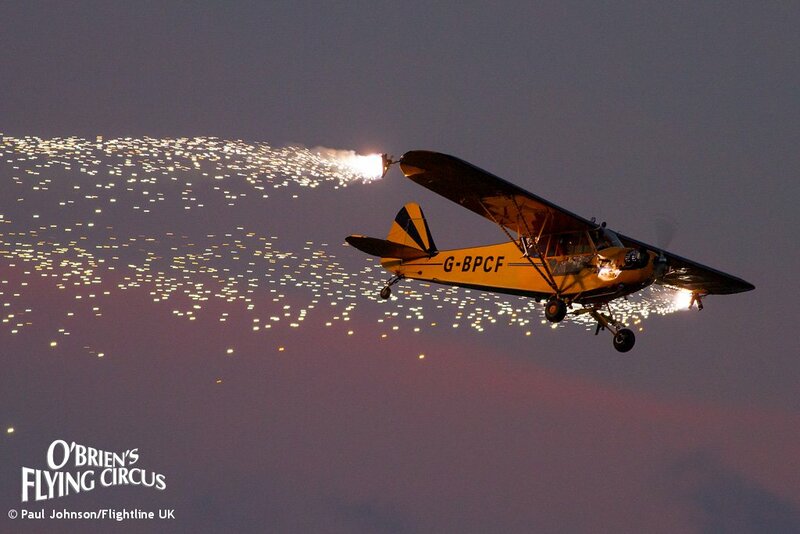 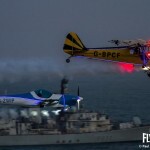 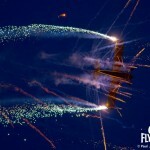 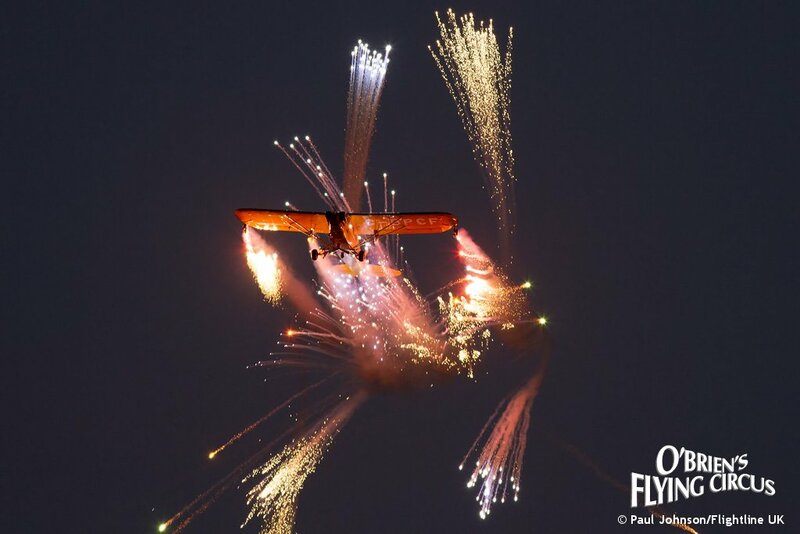 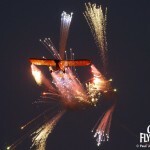 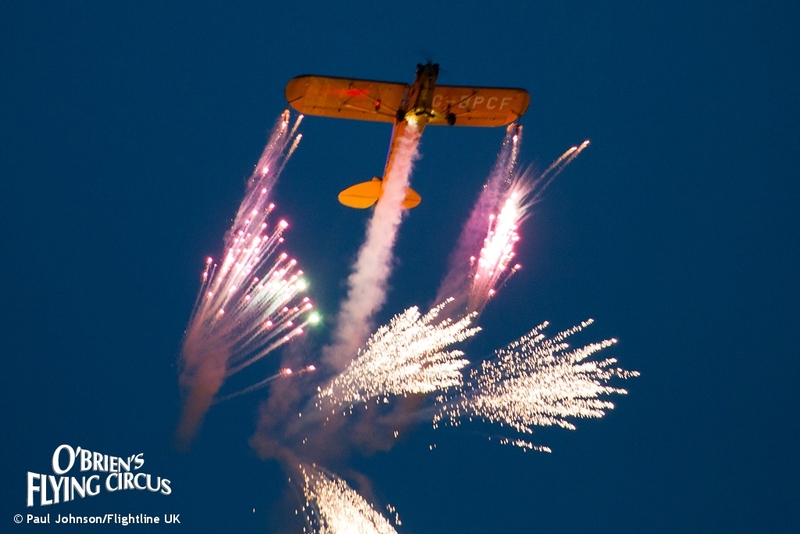 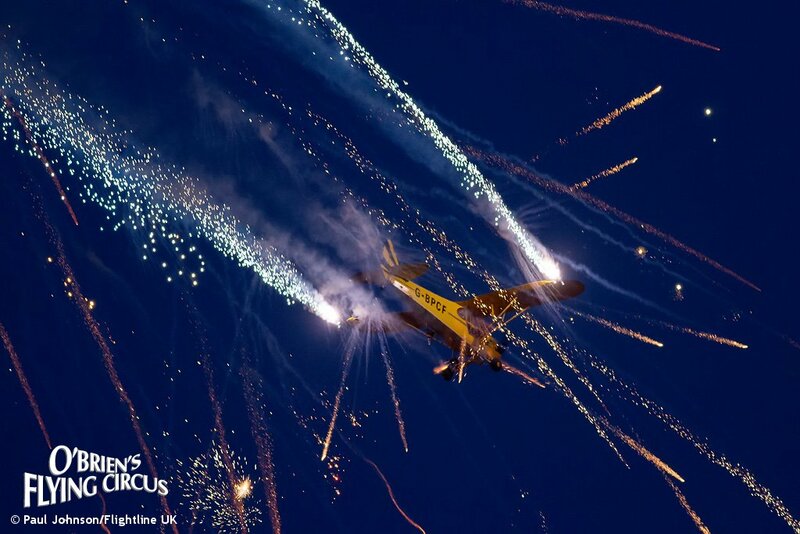 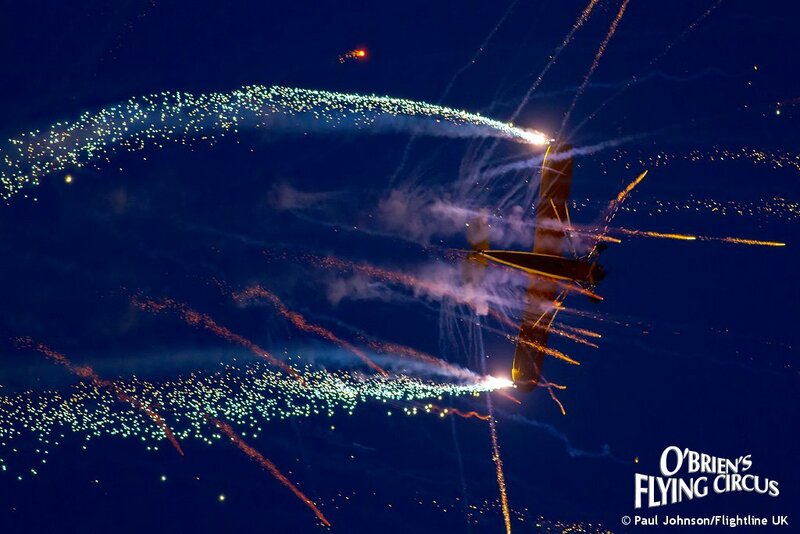 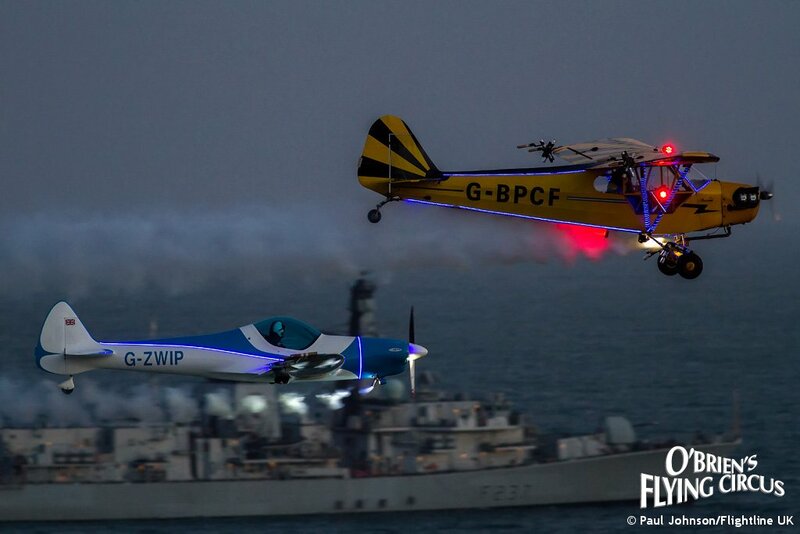 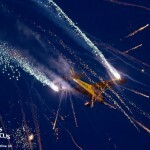 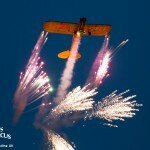 Brendan has continued to develop his highly popular “night” shows to an even greater level with a combination of lights, lasers and pyrotechnics, filling the sky with a blaze of aerial thrills! 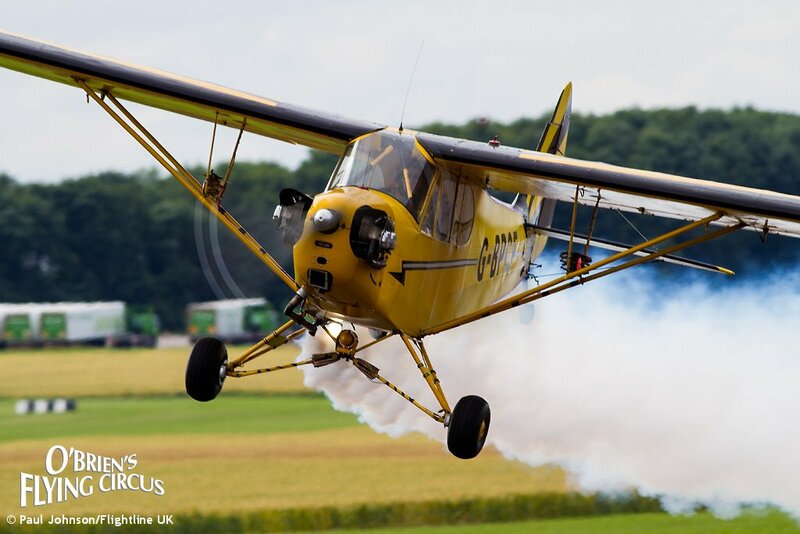 The Piper J-3 Cub is an iconic aircraft. 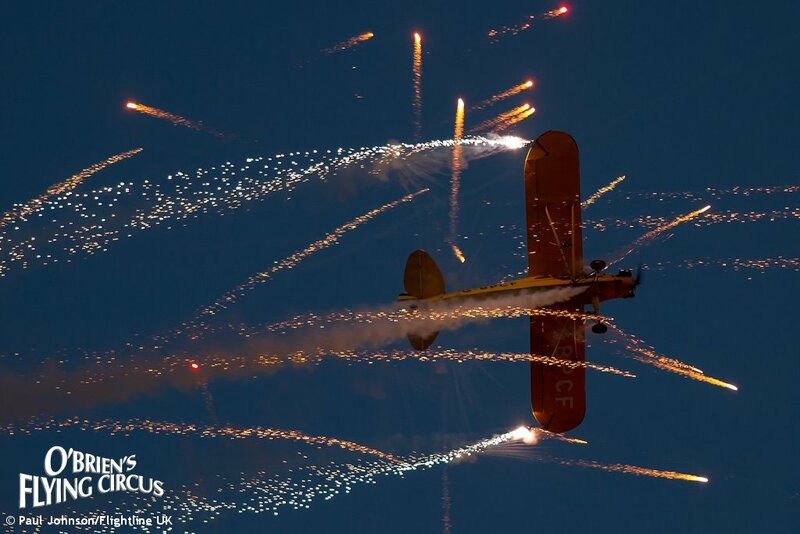 19,073 J-3 Cubs were sold between 1938 and 1947, the majority of them for military roles. 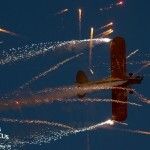 Post-war, the aircraft proved popular with the civilian market for flying training and touring. 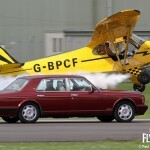 G-BPCF is probably the most modified J3 Cub in the world. 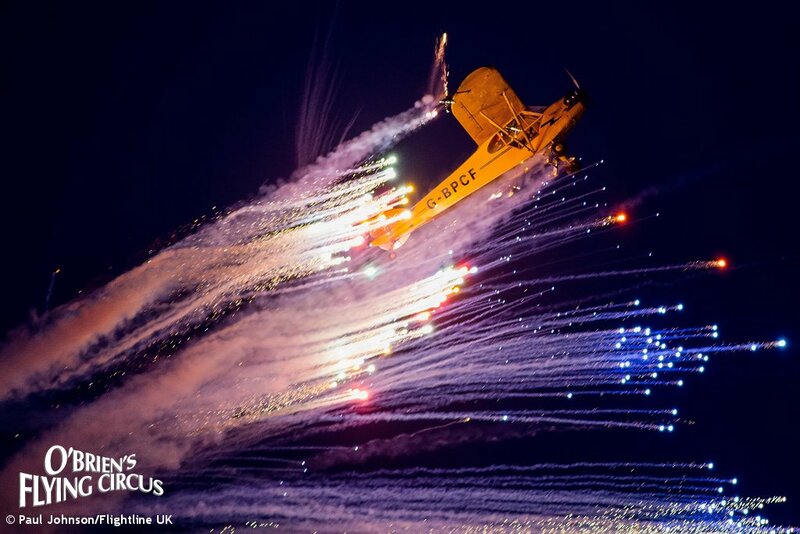 In single seat configuration now with state of the art avionics and a powerful smoke system combined with lights, lasers and pyrotechnics for our spectacular day and night shows.